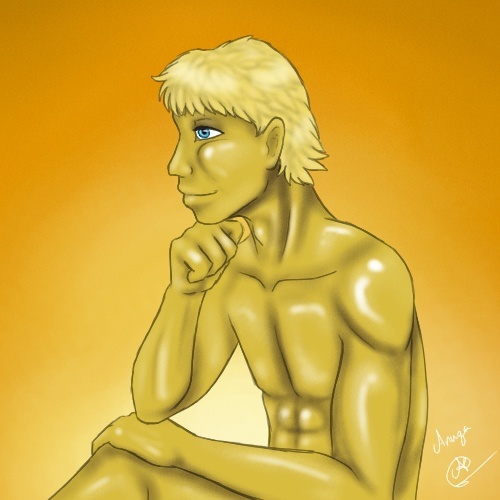 Second go at the RPer's Special commission, this time of the character Kensar, daydreaming at Sunset, waiting. The Roleplayer's Special would go something like this: these are very small commissions, they won't be exceptionally detailed, and I won't spend a long amount of time on them, BUT, they are fully coloured, fully inked, fully shaded. And they are only going to be about 5$. If you want one, though, I want a good description of the character, not just physically but as a personality. I want to do something SPECIAL, something that shows off some of the personality of the character itself! THAT'S THE FUN OF ROLEPLAYING. As of right now these commissions are not 100% open, as I have said this is a testrun, BUT, if you like the idea please feel free to get in contact with me.